It’s officially the morning after the night before, and the great plains of brunch have been uniformly razed (or raised) by last night’s procession. Despite the nitpicking, the state belongs to Gladys’ mob for a third term. This should not come as a shock. Despite what the headlines state, in that Michael Daley had a serious problem with “Asians taking our jobs”, the truth of the matter is that the ALP had little to campaign on. The man he replaced, the scandal-laden Luke Foley, didn’t do much beyond opposing Miranda Devine and the already maligned “safe schools” program. In opposition, the Liberals were seen to be doing things, even if they weren’t particularly good at it. Opposing the Liberals own ruinous white elephant, the stadium tear down, and living out a left-wing fantasy, chiselling off the barnacle of the SCG, Alan Jones, seemed like a pair of meaningful moments, but in reality, they were little more than smoke without substantial fire powering it. Beyond that, there was nothing substantial to renovate the house. They suggested a M4 Toll cash back (which was dragged by the media), one which apparently would line the pockets of private investors, which for my money, sounded too much like the Westconnex situation (overdue, overpriced, and nothing going back into the state), and they attempted to transport the Vic Lib’s solar panel plot to our address. Beyond that, meh. Their action was their perceived inaction. Despite all this, turfing the Liberals out would amount to pushing a rather large amount of effluent up a rather large hill. The main seats that needed to swing for Labor were Coogee, Oatley, East Hills and Penrith. While Coogee has gone back to Labor (with the help of the Keep Sydney Open campaign), Oatley and the East Hills were going to be an ask, consider that both are seeing a period of gentrification, with the latter seeing the M5 duplication under the Libs. The outlier is Penrith, a seat that swung heavily away against the Libs, despite heavy spending on infrastructure, seeing an upgrade to Nepean Hospital, Westconnex, et cetera. What made last night interesting was the vibrancy of the colours beyond Red and Blue, as the minority certainly ruled. 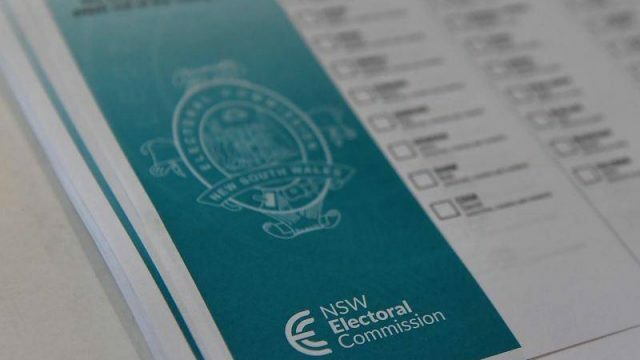 The Greens continued to roll into Balmain, Ballina and Newtown (which should prompt the ALP to shy away in the future), but the picture statewide is not particularly good, with only two representatives making it to the upper house. The Shooters, Fishers and Farmers were the surprise packet, as the writer Preston Towers mused they have “found their niche as the ‘Protesting against the useless Nationals’ party”, as none of their candidates fit “the Shooters’ cliche of Men Who Drive Utes With Angry Bumper Stickers”. The most notable being Barwon’s Roy Butler, a vegan who talks land issues. They can now be seen as a legitimate threat against the oscillating National Party in agrarian zones. Which, of course, brings me to One Nation. Not a week after the entirety of the state (at least on social media) asked for less extremism, the electorate gave us Mark Latham. Clearly, his path was made easier through exposure, be it his regular spot on Sunrise, or his ramblings on talkback radio. The odd thing about One Nation is that their message outruns their candidates, who are terrible campaigners but still they glean votes. Clearly, moronic racism is easy to get. It sells itself. Despite not running in many seats, the irrational racism party bagged 13% of the vote in Camden, 11% in Wollondilly, 10% in Maitland, 8% in Holsworthy and 6.7% in Penrith. The only failure in their campaign was their star, Emma Eros, who of all things, is a female Muslim tradie who wants to ban the burqa. So, what did we learn? I’m willing to endeavour, not much. The effect that last night will have on the federal election, will be minor. It’s a maintaining of the status quo. The body might belong to Glayds Berejiklian, but the head still belongs to Scott Morrison.